This interactive presentation contains the latest oil & gas production data from 5932 selected horizontal wells in the Niobrara region (Colorado & Wyoming) through January. Oil production from these wells started in 2017 at a level of 56 thousand bo/d (15%) lower than a year earlier, with gas production slightly up. While making this post, I noticed that oil production in 2016 from Laramie county in Wyoming appears to have been revised downwards (with about 10 kbo/d) since my last post on the Niobrara. Upward revisions are quite normal, as data from new wells comes in, but downward revisions are very rare, and I don’t understand the reason behind this (the well count is not lower). The leading oil producer in this region, Anadarko, has slowed down production in the past 2 years, and is now at a level of about 20% lower than the top in May 2015, as you can see in the last tab. If you click on its name in the legend, the bottom chart shows that almost all its production comes from a very large position in Weld county (CO). This “Ultimate recovery” overview shows how all these horizontal wells progress towards their ultimate recovery, while declining over time. The wells are grouped by the year in which they started production. The end of the purple curve, representing the wells that started in 2014, tells us that on average, these 1634 wells produced cumulatively just shy of 85k bo after 26 months on production. At this age, their average oil production rate has dropped to 42 bo/d. The 2015 wells are on a slightly higher track. 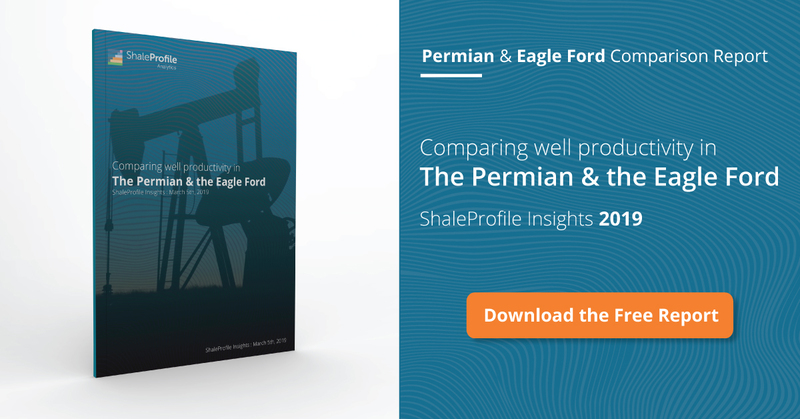 I plan another update on the Eagle Ford by Tuesday next week, followed with a post on the Permian. I appreciate the feedback & the info on possible reasons behind the production drop. Thank you for commenting.